What is the number one accessory that organizations use in marketing? 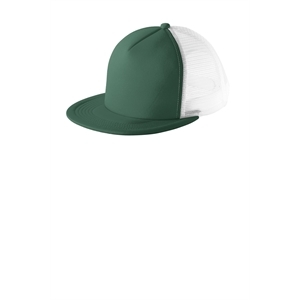 Promotional mesh caps! 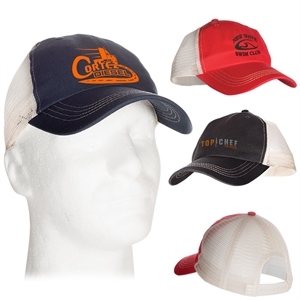 As made popular by stars like Ashton Kutcher and Justin Timberlake, our custom printed mesh trucker hats are even more stylish than theirs once you personalize them! Do not miss out on this great advertising opportunity! 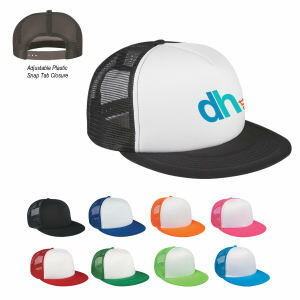 Help your clients and colleagues block out the sun in a fun style while marketing your brand with promotional mesh trucker caps! 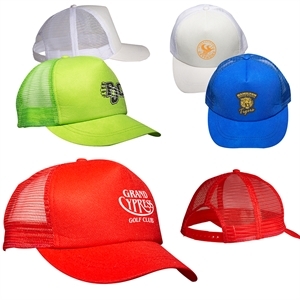 Choose from any of our myriad styles of custom promotional mesh trucker hats and create a fun design featuring your organization’s name and logo. 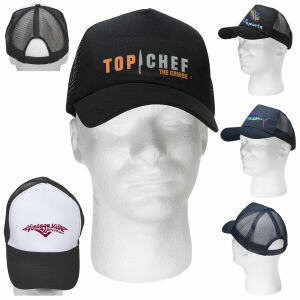 The popularity and usefulness of custom trucker hats will surely make this item a big hit at your next promotional event.